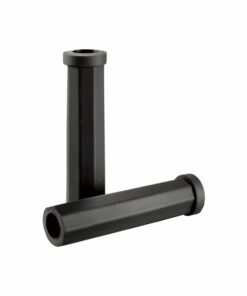 + Made by German silicone, degradation & hydrolysis free. 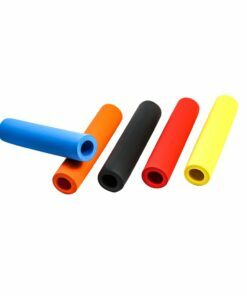 +Eccentric positioning and comfortable gripping. 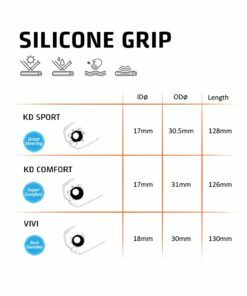 +Great damping feedback for reduce shock and palm arch. Ideal for all type of bikes (e.g. small wheel, folding bike, BMX, MTB, fixie) and riding style. 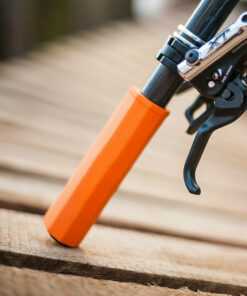 GUEE VIVI is an ergonomically textured silicone grip for your bicycle’s handlebar. 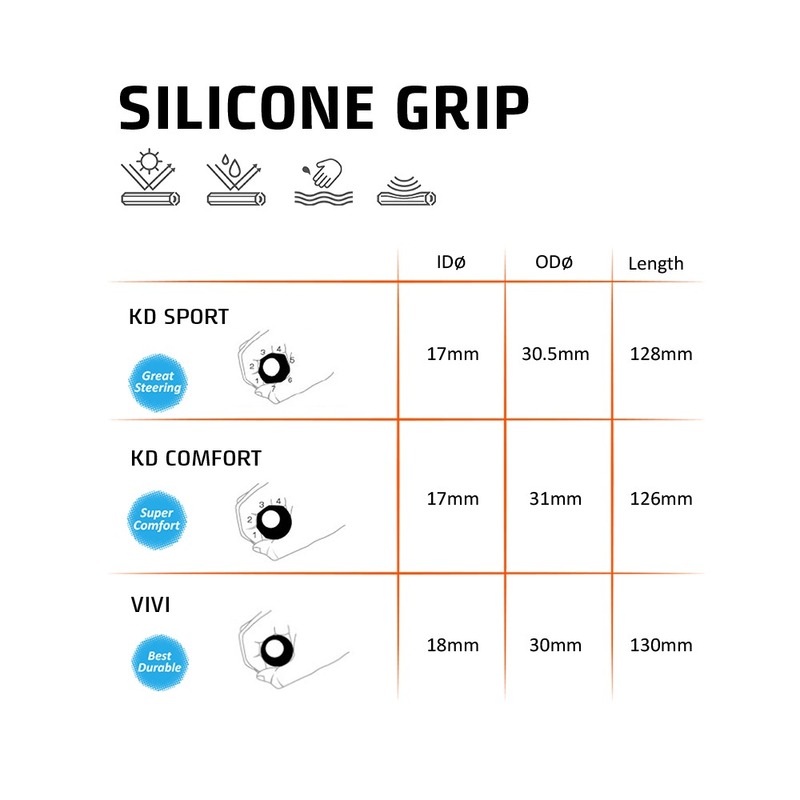 Made by German silicone and engineered with a special foaming process, its high density with good damping feedback, VIVI grip offers a great shock absorption during the ride. 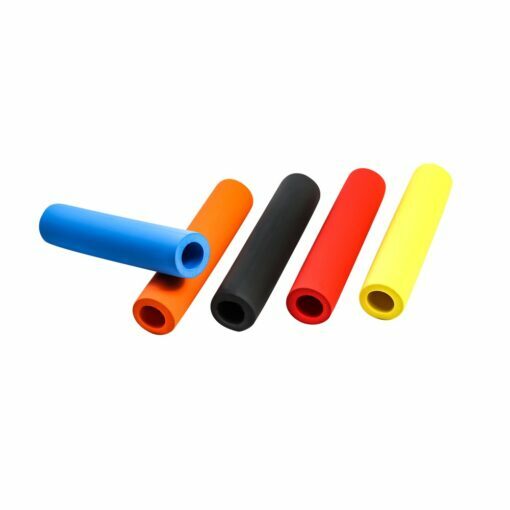 Anti-UV, heat-proof, toxic-free properties, VIVI grip is able to be washed for the product longer life cycle, gives a clear advantage over traditional coverings. + Eccentric positioning and comfortable gripping. 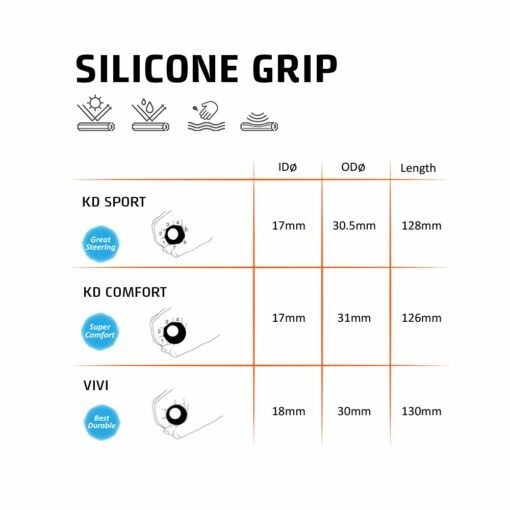 + Great damping feedback for reduce shock and palm arch.